The gathering will be held on Friday 22 December, during the Winter Solstice, at London’s O2 Forum Kentish Town, which coincides with the pagan festival, ‘Saturnalia’. 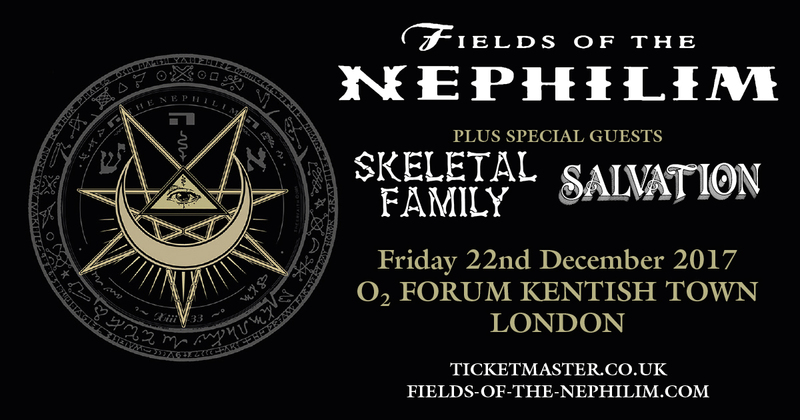 This year’s exclusive Fields Of The Nephilim performance will honour the dark energies of winter with a truly spellbinding set celebrating the band’s illustrious career. Wot the f… Why do I miss every gig??? ?